The second of two suspects accused of stealing a tractor trailer and other motor vehicles in Down East and northern Maine was arrested Friday at an apartment in Presque Isle. PRESQUE ISLE, Maine — The second of two suspects accused of stealing a tractor trailer and other motor vehicles in Down East and northern Maine was arrested Friday at an apartment in Presque Isle. The Aroostook County Sheriff’s Office responded to a report on Tuesday afternoon from Terry White of Easton that his white 2012 Freightliner tractor-trailer truck (pictured here) had been stolen, without a trailer attached. Police said they later determined that the theft was committed by Jessie White, 39, and Darcy Webber, 33, both of Easton. The truck was recovered after it got stuck on railroad tracks in Ashland and police issued arrest warrants for both White and Webber, who escaped capture. Presque Isle Deputy Police Chief Laurie Kelly said that officers arrested Darcy Webber, 33, at an Allen St. apartment Friday on an arrest warrant for allegedly stealing a tractor trailer in Easton on Tuesday, July 3. 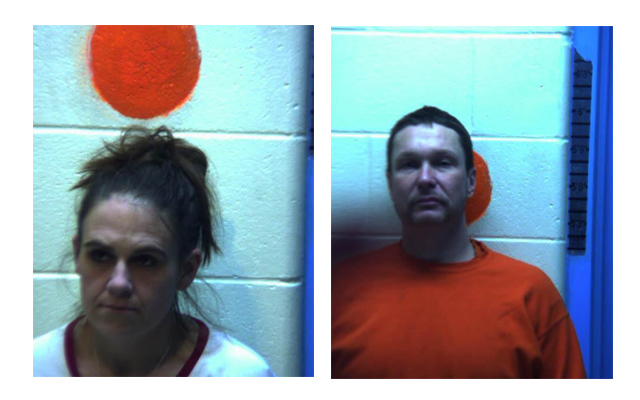 Webber and 39-year-old Jessie White, both of Easton, are the main suspects in a string of motor vehicle thefts spanning Aroostook and Washington counties. Deputies with the Aroostook County Sheriff’s Office arrested White on Thursday, July 5, while he was walking on Carvell Road in Mapleton not long after he had been sighted in a pickup truck allegedly stolen from a motel in Milbridge. Sheriff’s deputies and Ashland police officers spotted the semi-truck in Castle Hill and Ashland that afternoon, though the driver refused to stop and a high speed chase ensued. 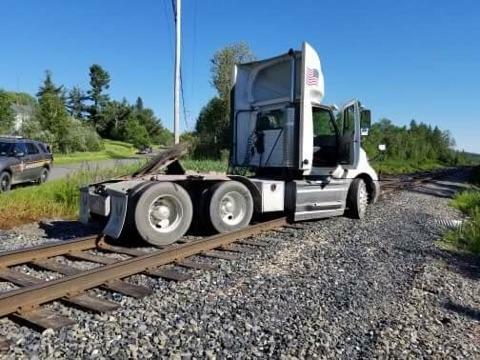 Police backed off the chase due to safety concerns, and the truck continued on Sheridan Road in Ashland where it got stock on railroad tracks, according to police. Officers reported that Webber and White fled on foot into nearby woods and eluded police until White was arrested two days later. Police searched for Webber another week before locating her at the Presque Isle apartment. After their arrests, both were taken to the Aroostook County Jail in Houlton where they were charged with three counts of theft by unauthorized taking. Both remain in jail unable to make bail. Webber’s bail was set at $3,000 cash or $15,000 surety and White’s bail was set at $1,000 cash or $10,000 surety, according to Aroostook County Sheriff Shawn Gillen.